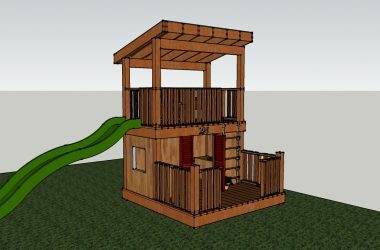 Playhouse Design 2011 Here is the final version of the new playhouse for those interested. There was a LOT of input from my clients… We got great input from readers of this blog CLICK HERE. I look forward to good weather next weekend and the ground breaking ceremony!